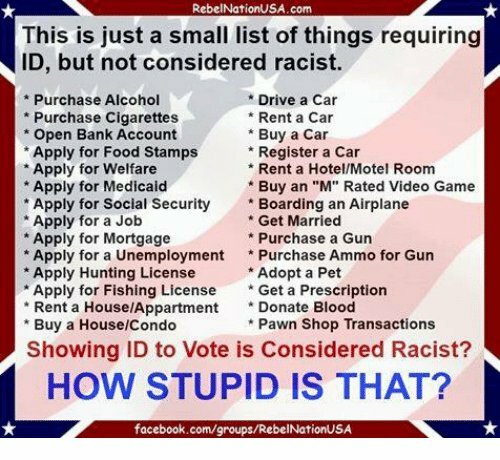 This election was not about fixing the economy, trade, borders, military, protecting our children etc. all so another corrupt politician or ‘insider’ can simply undo it [band-aid]. This was not simply another 4-year election, but, a crossroads in the history of our civilization that will determine whether or not, WE, THE PEOPLE, reclaim control over our gov’t. 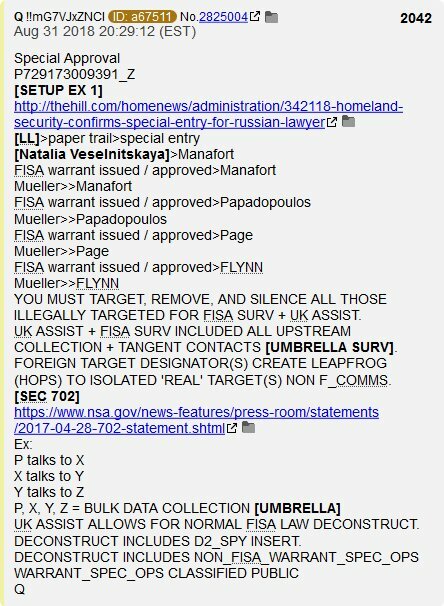 Did Whitaker remove [SC] ‘special articles’ inserted by [RR] re: expanded scope v2? 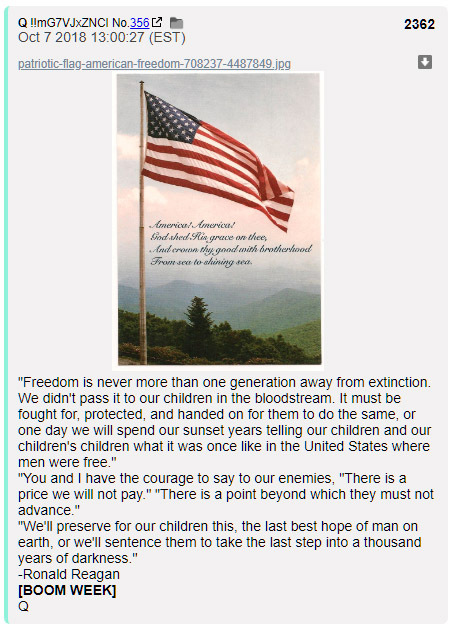 Posted in Q Anon, QAnon. >Amount of fires in CA past 12-months? 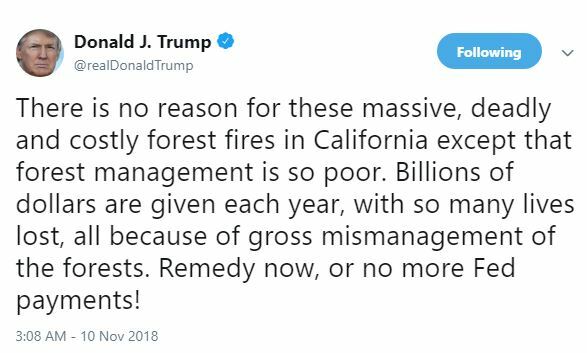 >Amount of fires in CA past 10-years? 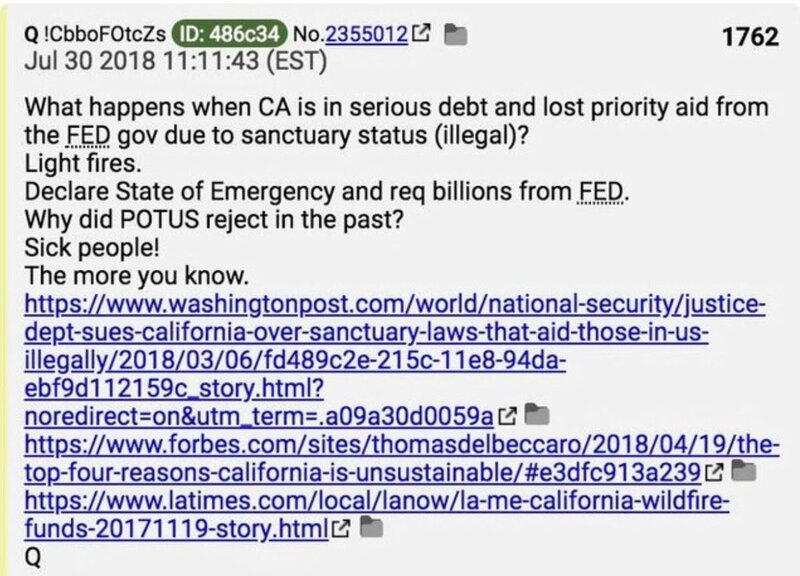 >Date FED funding cut off from CA as result of violation(s) of Sanctuary State/City? >CA budget cuts past 12-months re: Fire & Prevention? >>Reduce/eliminate dry brush clean up? >>Reduce/eliminate chopper fly over(s) to target ‘high exposure’ areas? >>Reduce/eliminate population areas exposure & fire break safety management? >>Reduce/eliminate use of inmates [correction facilities] for Highway clean up and dry brush removal? What is the primary purpose of declaring a State of Emergency? What determines the size of the FED payment to a State that has declared a State of Emergency? What is the current debt of CA? Temp hire to remove embedded ‘untrustworthy’ staffers? 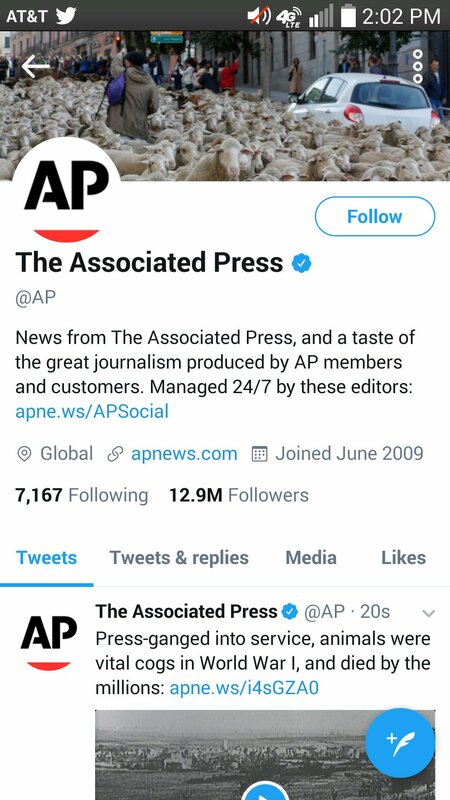 Why are the biggest news co’s in the world continuing to attack this movement? WHEN DID WH LEAKS CEASE? 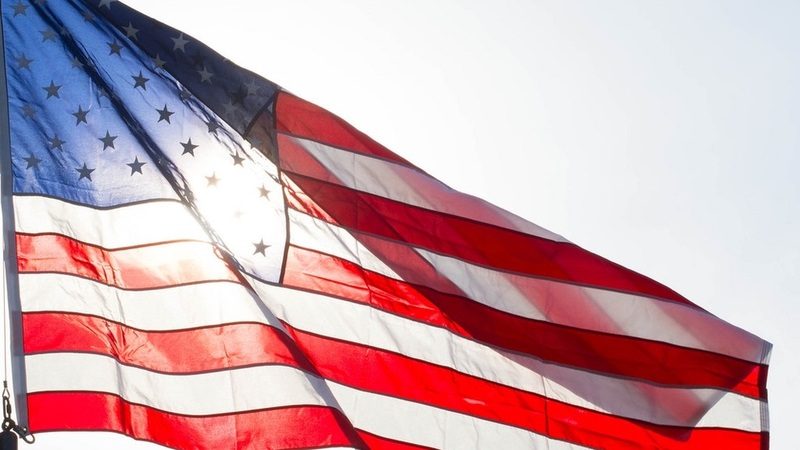 We thank you for your service, Patriot! May God watch over you and your family for all eternity. Sometimes people need to see the future in order to save the past. 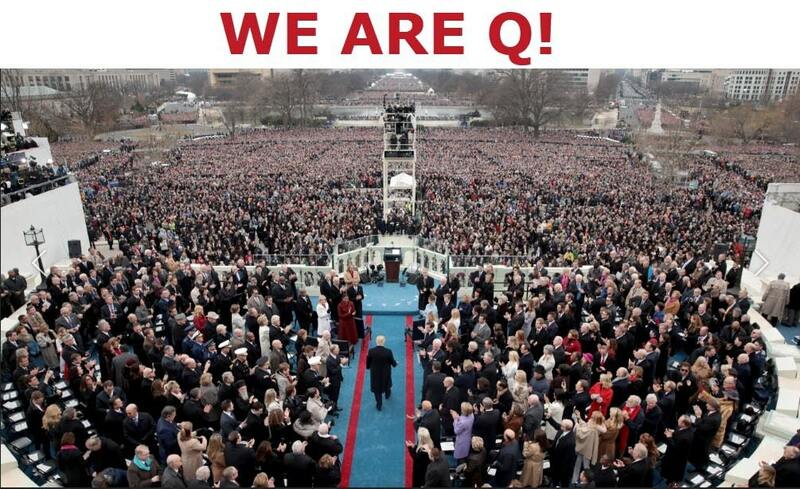 As of 3:02 pm est today, “Qanon” is now the #2 most attacked entity behind POTUS within the U.S.
WHY WOULD THE BIGGEST MEDIA CO’S IN THE WORLD CONTINUE TO ATTACK THIS MOVEMENT? 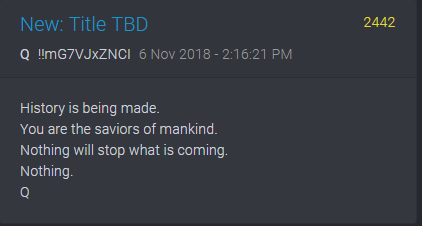 We are with you, Anons. Imagine if the new acting AG now releases all previously ‘blocked’ doc requests by the House (including the [RR] secondary CLAS scope doc). The ‘Red Line’ months old 4am narrative should be updated. >Who was SESSIONS‘ CHIEF OF STAFF? The breaking reports of an alleged serial bomber swept through corporate news with blinding speed, and just as always with such sensational news, the reports of these events held numerous unanswered questions and many gross inconsistencies. During this time, news of this series of seemingly fake pipe bombs mailed to various public figures who actively opposed President Trump (most of whom have encouraged violence themselves) was a major topic of discussion. However, not long after these news reports broke, the blatant errors in these stories began to surface. Upon closer examination, the reports of this supposed bomber showed little to no sign of consistency. 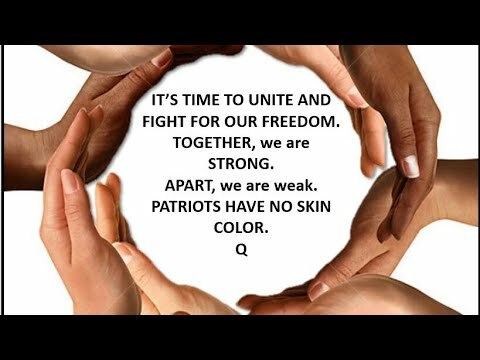 This is the second part of the two-part series about Q Anon and the possible involvement of black ops and the Alliance in the recent case of Cesar Sayoc, now known as the fake bomber. In this article, we discuss further anomalies within the various news reports about Sayoc as well as the probable purpose behind these reports. We also explore the numerous possibilities of how these events play out in the world of U.S. intelligence and how these developments may spell ultimate victory for the Alliance. The recent breaking news of a series of suspicious packages which were claimed to be bombs initially swept through the MSM in record time. These stories were dotted with the usual telltale signs of shifting narratives, conflicting details, apparent political motivation, and numerous other indicators of possible deception by the MSM. On top of these questionable characteristics, reports of these events appeared to be intended to smear the image of alternative media and independent thinkers in general (not to mention the United States president). 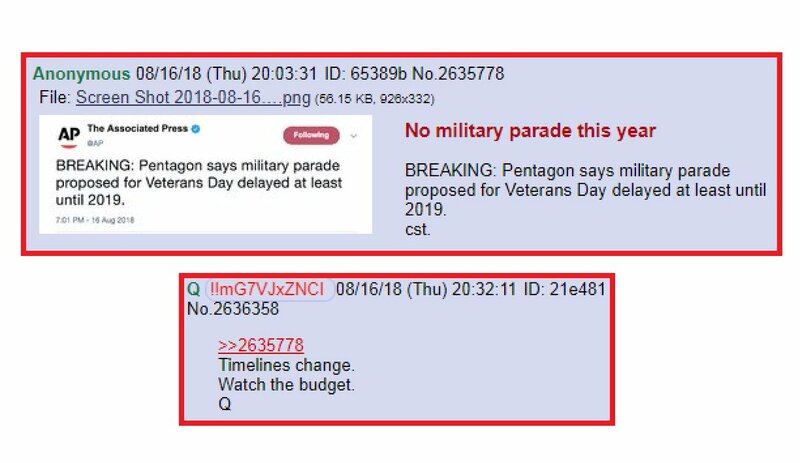 See also – 514th Military Police Company Deployed to Guantanamo Bay; Does This Spell Military Tribunals for the Cabal in the Near Future? 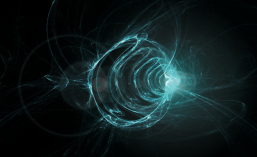 The topic of the anonymous 8Chan poster, QAnon, as well as those that follow Q have been covered in mainstream media with greater and greater normalcy—to the surprise of many. 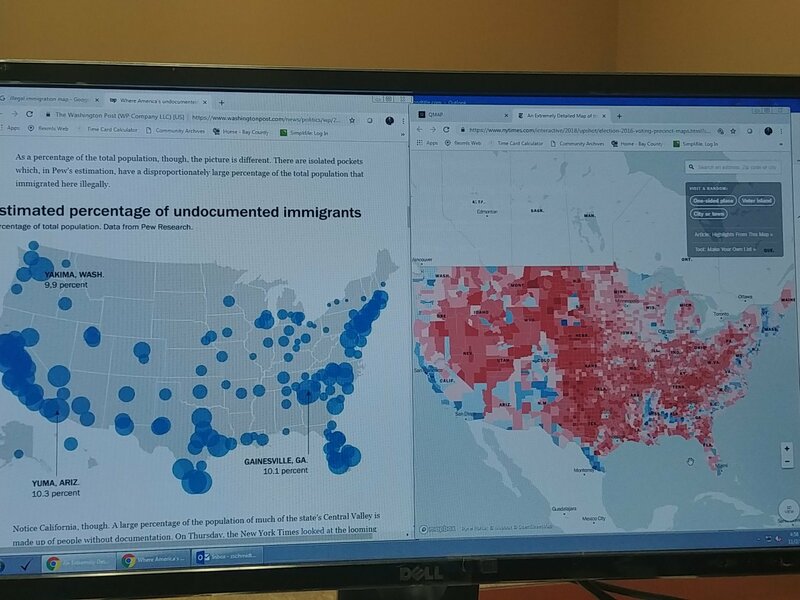 Though this subject has been used to target and smear alternative communities due to their support for the president, it is interesting to see that subjects which used to only be discussed among independent researchers are gaining public attention from the MSM. 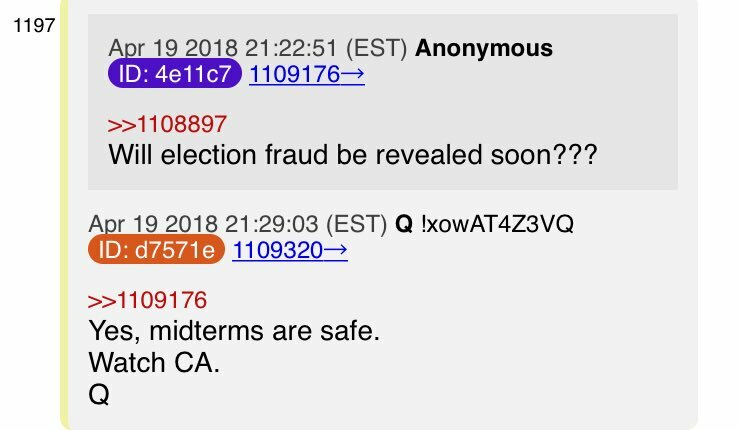 It also appears that Q Anon and alternative communities have become a specific focus of certain intelligence operations. In past years, these communities have been largely disregarded and assumed to be full of “conspiracy nuts.” Consequently, there was apparently no need for intelligence communities to take much active interest in them—at least not at the public level. However, it now seems that questionable interests within U.S. intelligence are working to undermine the efforts of these alternative communities—censoring, disrupting, and dissuading members from finding the truth. 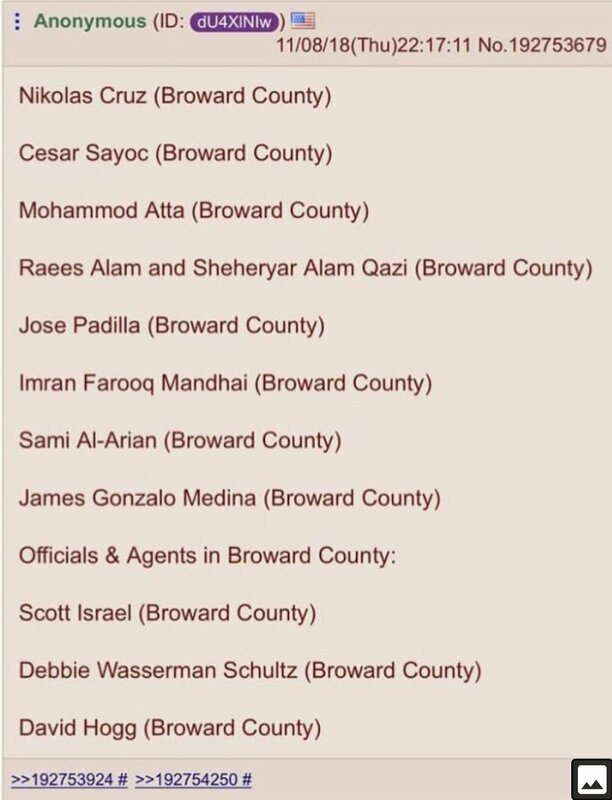 Ironically, it has been these very communities that have worked to uncover the possible hidden truths behind these recent events involving the fake bomber, Cesar Altieri Sayoc, or as alternative communities have dubbed him, Cesar Psy-Op. 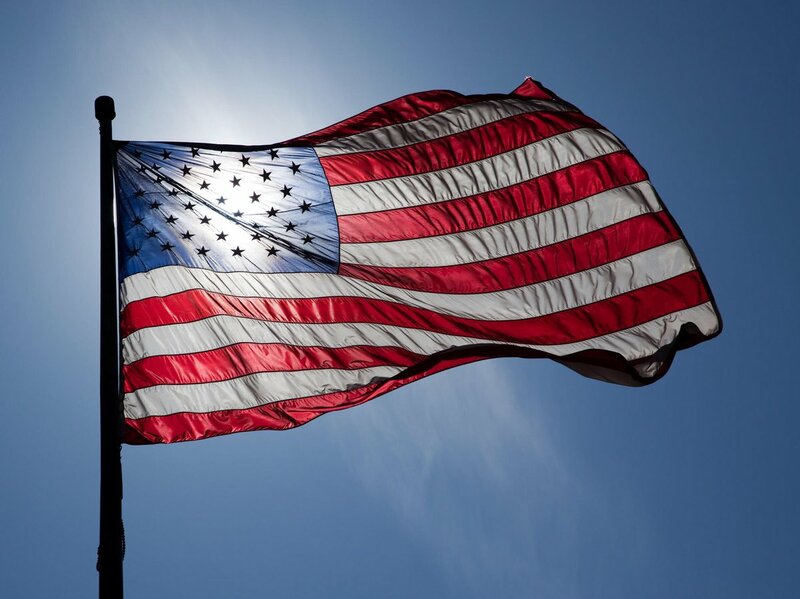 Following the alleged false flag attacks of September 11, most suspected false flags occurring within the U.S. appeared to have been poorly concocted and executed. Though it does appear that there were actual victims involved in many of these attacks and that real deaths did occur, there appear to have been a consistent trend of clumsiness and poorly executed cover-up attempts which commonly accompany these events. Many of the stories of more recent attacks suspected to be false flags were so wrought with inconsistencies that most independent researchers were easily able to dissect and uncover the truth behind them. Such inconsistencies can be easily seen in a number of past events. In fact, these questionable characteristics have been so consistent that they have become key indicators among researchers on how to determine true violent events from false ones. 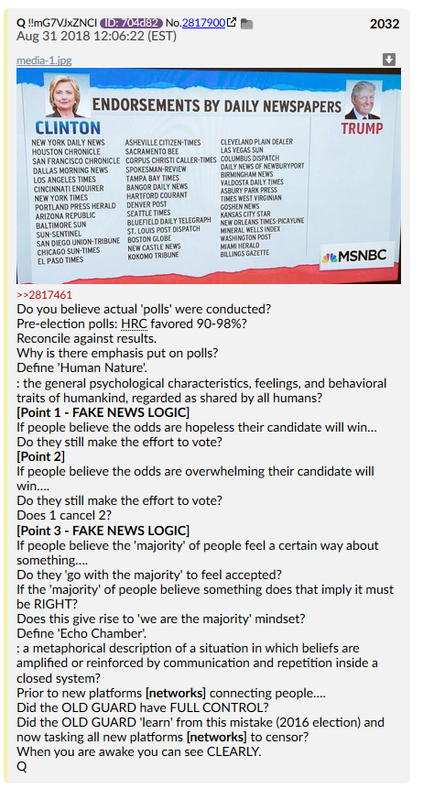 In the case of this fake bomb event, not only do we see a good number of these inconsistencies, but we see a significant number of outright lies included within MSM news reports. One example of these apparent untruths can be seen in the following report from the New York Post. 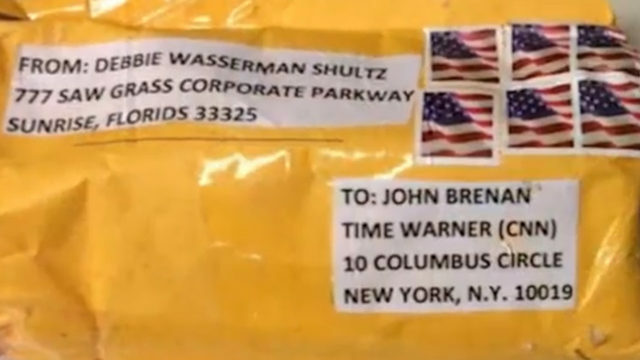 This report clearly states that one of the packages was “mailed” to one of the targets, and yet there is no sign that the package was ever mailed at all. A single fingerprint on a suspicious package mailed to Rep. Maxine Waters helped authorities nab the man who allegedly sent at least 13 suspected pipe bombs to high-profile Democratic figures over the past week, officials said Friday. “Once I knew that they had a print, I was pretty confident we’d be able to find the right person,” FBI director Chris Wray said at a press conference. Investigators also found a possible DNA connection between samples on two separate IEDs and material collected from suspect Cesar Sayoc in a previous arrest in Florida, Wray added. 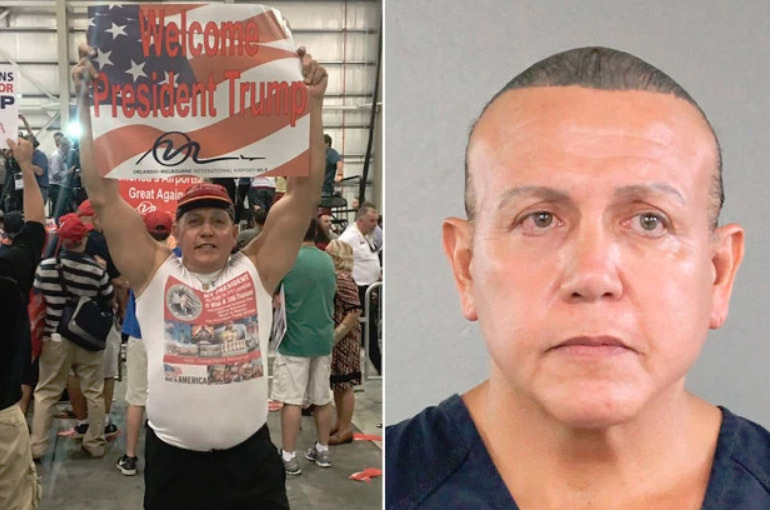 Sayoc, 56, was arrested in Plantation, Florida, earlier Friday and was charged with five federal crimes — including interstate transportation of an explosive, illegal mailing of explosives and threats against former presidents, officials said. Neither this nor any other reports from the New York Post offered images of the packages they claim were mailed to California State Rep., Maxine Waters. However, an internet search easily yielded the following images. 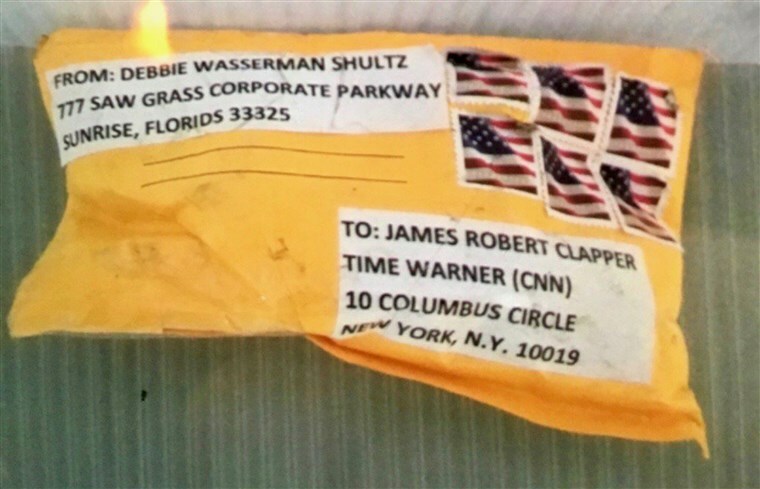 These are a few of the images which corporate media presented of the alleged bombs that were sent to a number of political and public figures. What seems striking is the fact that we are seeing images of these supposed “bombs” in the first place. If these objects were actually believed to be dangerous, why would anyone in their right mind set them up for a photo shoot when these people should be running out of the building as the bomb squad is being called? For anyone to present images of a package they claim to be a bomb seems to suggest that either they are suicidal and don’t care about their own safety, or they know the object is not a real bomb and they are simply presenting it to news cameras for shock value. When was the last time you saw photos included with reports of an actual bomb in corporate news? There may be other images, but these five give us a good feel for what we are dealing with. These images were presented by various national and local MSM sources as legitimate news. However, upon examination, we find that there are nearly countless flaws included within these images which collectively make the mainstream narrative of events seem logically impossible. 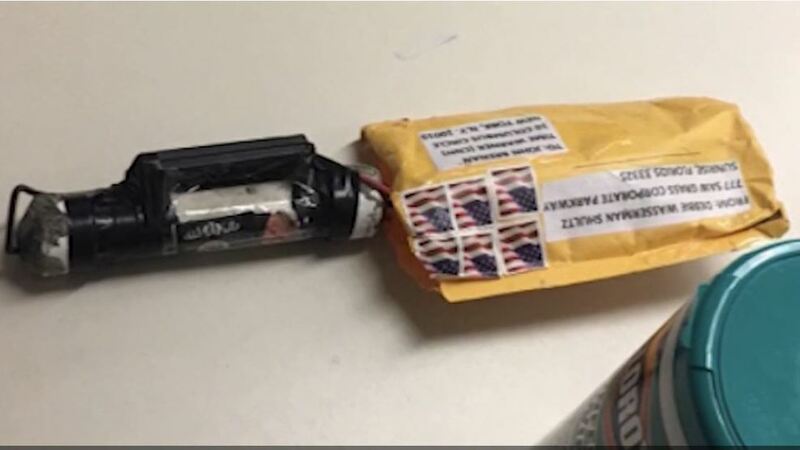 The first and most obvious mistake included within the presentation of these “bombs” was the previously stated fact that these packages show no sign of postmarking or any indication of processing by a postal service at all. 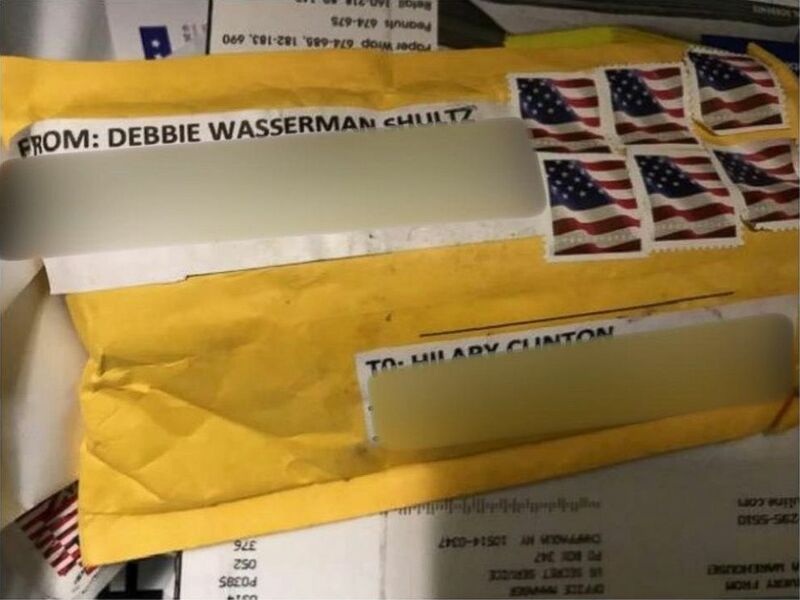 An even stranger fact is that, according to sources, these envelopes were somehow sent across the country faster than USPS is able to deliver. The packages are not marked for next-day shipping, nor is there any known method for shipping packages at the speed with which they reportedly arrived at their destinations. It is clear from these images that six stamps were applied to each of these oddly identical packages. Yet the lack of postmarking indicates that at least the packages shown above were not mailed and they somehow arrived at their destination by other means other than USPS delivery. From these details, it seems clear that multiple MSM reports were either lying to the public, or they themselves were misinformed about the true origin of these packages. We can also see that each package included only six stamps. This might make sense to those who have never used a professional mailing service, but for those who have, this does not make sense. 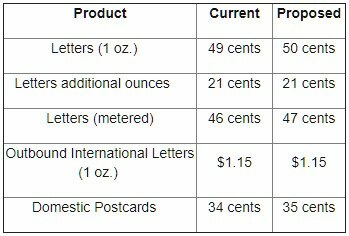 According to USPS.com, these are the current prices for the Forever Stamp. 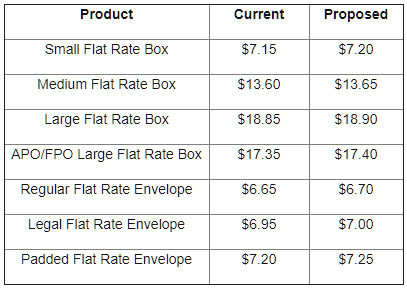 This is a comparison between the price of stamps and that of flat rate envelopes similar to those depicted in the images. One stamp equates to about 50 cents. 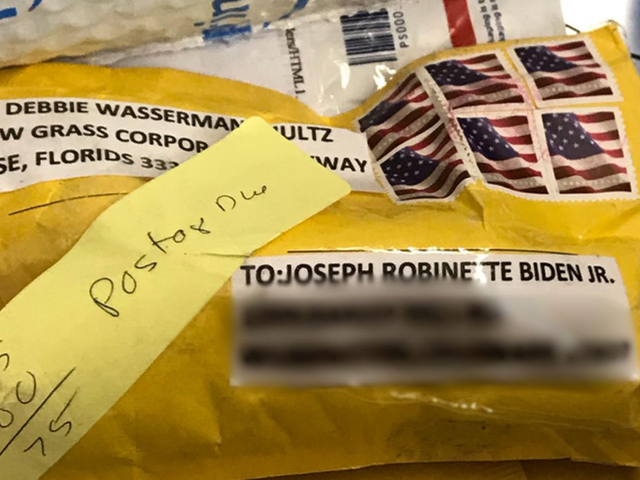 This means that these packages—which were reported to contain pipe bombs (which typically weigh several pounds, depending upon their contents)—were only outfitted with $3 worth of stamps. This is not enough money to mail a package weighing over 1 to 6 ounces. Anything larger than this would require one of USPS’s flat rate envelopes or boxes, according to their website. However, this would only apply to packages that were actually mailed. Yet according to the images presented, the envelopes in question were not. This further supports the possibility that the corporate media and possibly the intelligence agencies feeding this information to the media are lying to the public. Then, there is the van. When we attempt to explain the mainstream narrative in logical terms, the task does not seem very possible. The MSM would have us believe that one man—a Filipino “white supremacist”—intentionally committed several federal crimes while telegraphing and advertising the fact for a year straight on his vehicle and that he basically chose to sentence himself to spend the rest of his life in prison—all just for the heck of it. Considering Cesar’s lifestyle, it does not seem to make sense why he would want to give up his freedom and everything else for the sake of a prank. This leads us to suspect that either this man has some type of mental condition that causes him to be excessively self-destructive in extremely elaborate ways, or that he was somehow put up to these strange actionsby outside parties. Overall, the story handed to the public by the MSM does not entirely make sense. However, there are other explanations for the situation. 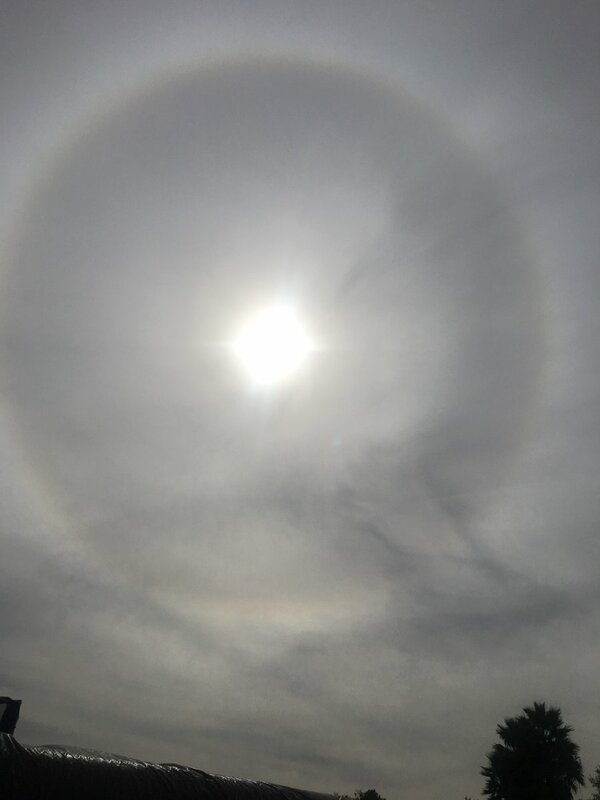 If this event was some type of operation orchestrated by Dark Hats within the FBI, the CIA, or some other intelligence agency, this might make sense. When we observe the past disruptive and sometimes deadly incidents that were suspected to have been covert intel operations, we may see that there are several similar characteristics between those and the story of Sayoc. …But more on those points later. 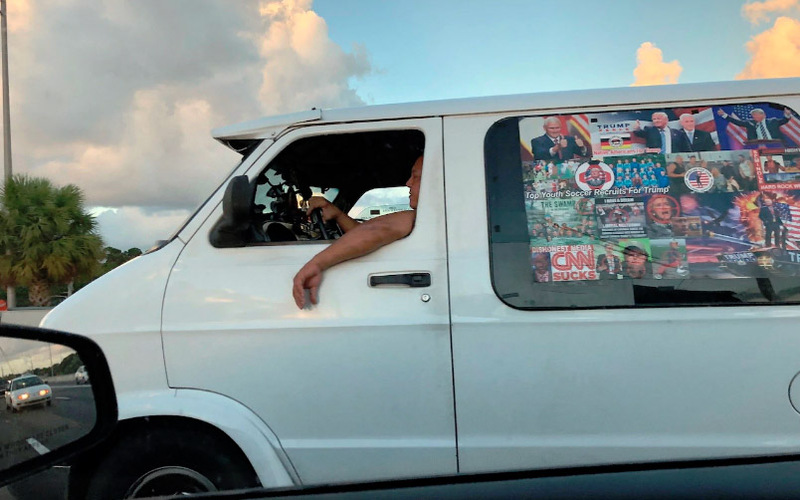 According to reports, Cesar Sayoc was supposedly allowed by Florida authorities to drive his illegally decorated van through the state for an entire year. If Florida laws prohibit these types of visual abstractions on any vehicle aside from telecommunications equipment on appropriate vehicles, why would a serial bomber deliberately take the chance of attracting law enforcement due to such a flagrant offense? By all appearances, this van claimed by the MSM to belong to Sayoc makes very little sense in that it serves no purpose aside from further shock value along with its potential to serve some propagandistic purpose. It seems that the corporate media has recently taken a liking to the fallacy of guilt by association, as they have used it rather liberally to smear the president. 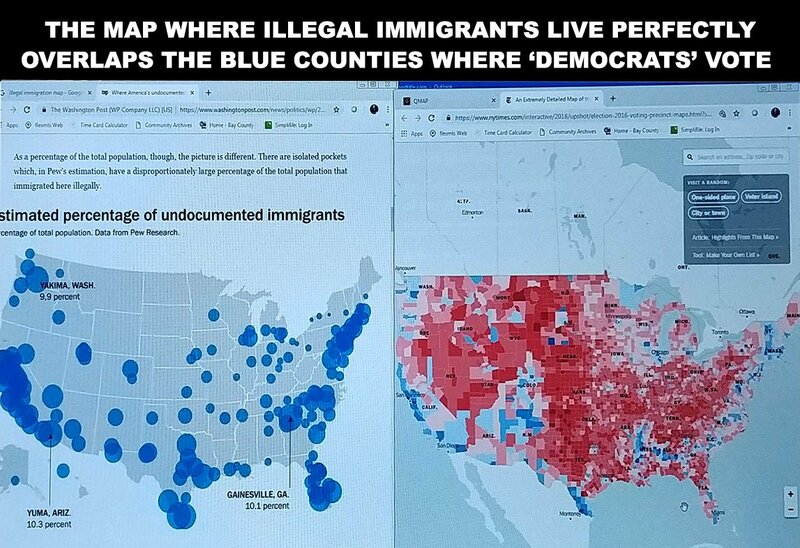 And per the usual requirement of propaganda, we the audience are expected to abandon all logic in order to buy into it.Upon closer examination, the following images seem to paint a picture which does not fit the narrative of any of the MSM reports on the matter. Some might even say that the images appear to have been created in partnership with the MSM in order to fabricate a false story. Consider the convenience of each of these images (below). What are the chances that this van—or any other vehicle, for that matter—would be able to be so clearly photographed as though Cesar was posing for the camera? It seems unusual for a man intelligent enough to be a serial bomber to be so friendly with photographers with high-quality photo equipment before committing his crime. We might also wonder what the chances are that this same individual would be so clearly visible at a Trump rally facing another high-quality camera and photographer smiling with his “Welcome President Trump” sign in perfect view. It appears as though Cesar is posing for the camera and yet is not interacting with anyone in the crowd. One additional detail we might consider is the fact that the stickers on the van’s rear window appear to have changed at some point. Notice the difference in the arrangement of stickers between the YouTube video and the still images. 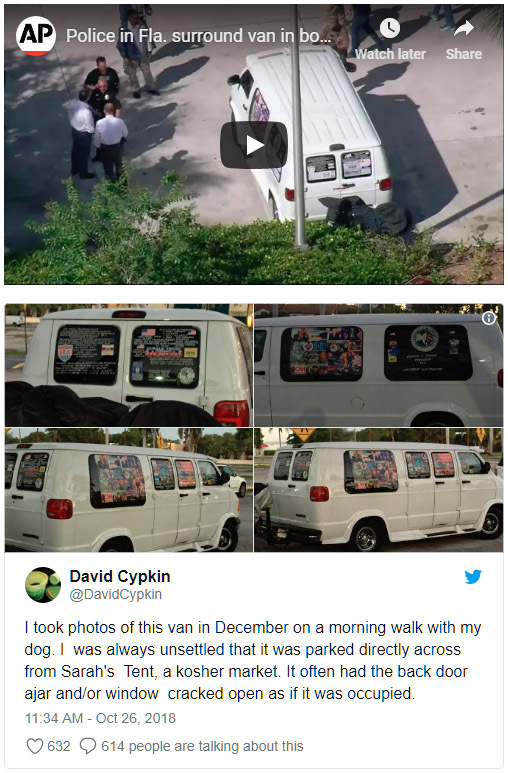 Notice the above tweet claims that the referenced image was taken in December of 2017, making this van and its stickers at least a year old. To restate, this means that Florida authorities failed to notice this man even though he has apparently advertised has illegal window decals to all motorists for a year straight. Consider the odd and repeated convenience of these photos. Combined with all of the oddities about this situation listed above, it seems very likely that this Cesar Sayoc was merely set up to appear to be a Trump supporter, but in reality, he had no interest in politics (though CNN would have us believe that the president is solely to blame for Sayoc’s actions). When we learn that the packages presented by the MSM as supposed bombs may have been fake all along, the story seems to unravel even further. 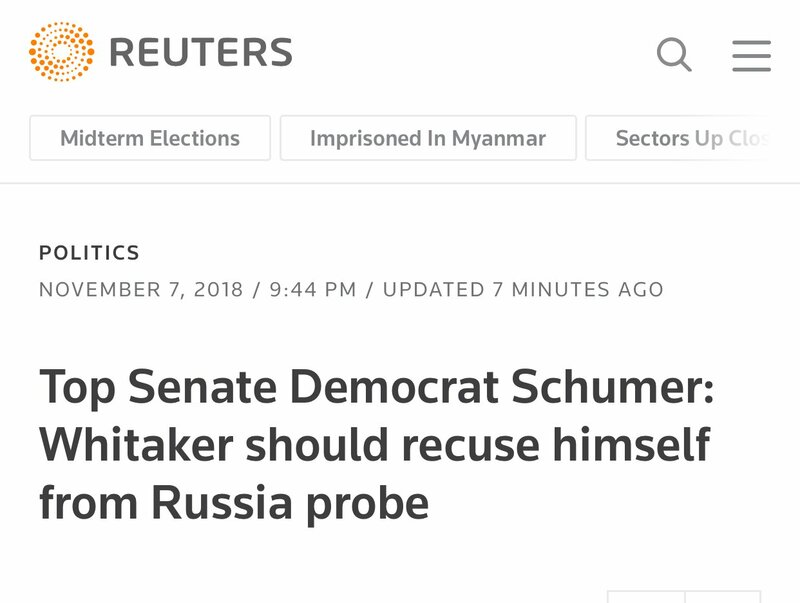 There does not appear to be any reason why any individual would send fake bombs to anyone for any reason, let alone to all of the major Democratic figures who are suspected of crimes against the United States. We are supposed to believe that this alleged bombing incident was Cesar’s own idea and yet he had no intention of escaping after allegedly sending these (non) bombs. Nothing about this story seems to add up—that is if we believe the MSM reports. However, if we speculate on our own as to why these events transpired, we may come to a plausible answer. When we consider the possible reasoning behind this strange media spectacle of the apparently fake bomber, a number of questions arise. Was this act perpetrated by a covert intelligence agency such as the FBI in order to achieve some deceptive purpose? Was this an operation designed by White Hats behind the scenes in order to send a message of some kind, or is there much more to this story than we have conjectured thus far? It does seem very likely that at some level, the reports about Cesar Sayoc initially came as a result of a dark hat intelligence operation. These Dark Hats may have very well been planning to accomplish another media stunt similar to the one which the FBI confessed to staging in Newburgh, NY in 2009. It could be that just as in Newburgh, intelligence offices intended to push a political narrative which was advantageous to their own program, or possibly for the advantage of the interests they were working for. It is clear that if this operation was initiated by the intelligence community, the purpose would be to continue the corporate media narrative that all Trump supporters are Hitler and should all be considered crazy, unstable, and paranoid. Of course, this assumption is untrue, and just as any instance of prejudice may be considered indecent in a civilized society, to promote such a destructive narrative comes across as attempted societal sabotage by corporate media companies. Nevertheless, these media giants actively promote this narrative seemingly with no concern about the societal consequences. By all appearances, this senseless act of disruption by a fake-bombing, supposedly right-leaning body-builder was little more than a smear attempt by covert operatives who intended to sway public opinion and possibly influence the midterm votes. Naturally, after so many embarrassments of Cabal controlled representatives on the political left, these interests may have attempted this last-ditch effort to make the other team look worse than left-leaning reps already did. This is not to say that there are not bad actors on the right. According to multiple sources, there are plenty. However, from a top-down perspective, the Alliance is reported to be working with the executive branch of government to evict Cabal players from their seats of power in both parties. If this intention of sabotage was the true reason behind the media spectacle involving Cesar Sayoc, the act does not appear to have been successful. It could even be that the Alliance became aware of these intentions prior to their execution and played a hand in co-opting the operation so that it became more obvious to the public. Perhaps this is why we see so many holes within the media narrative of the non-bombing incidents. The van, the unmailed folders, the fake-looking packages which were claimed to be bombs, and the cheesy photos which Cesar and a photographer appearing to have taken all in the same day—all of this could have been poorly fabricated on purpose in order to make the falsehood of this operation more obvious. Then again, it could simply be that the corrupt intelligence community has become so bad at their games of deception that they simply don’t have it in them to concoct a convincing story any longer. It could very well be that these interests actually attempted to deceive the country in a similar way that the FBI did in 2009. However, due to the attentiveness of alternative communities, their games were spotted long before they had a chance to have their intended effect. 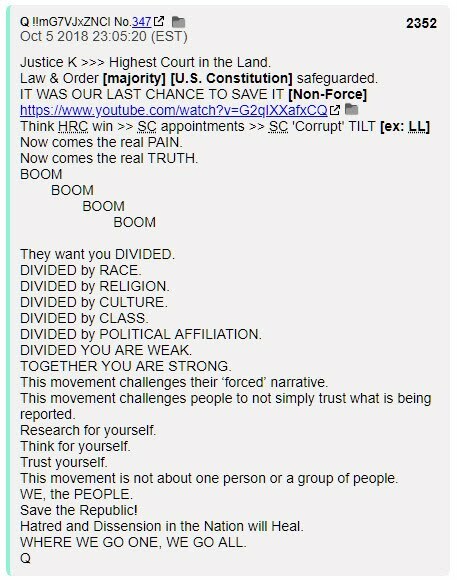 When we consider the possibility that the Q group knew about these planned operations beforehand, we may begin to see the possibility that the Alliance most likely had a hand in infiltrating and exposing the operation. If the statements of BOOM in repeated instances truly referred to fake mail bombs, this would make perfect sense. If the Alliance did know about these plans, there is no reason why they would not intervene and turn events toward the favor of the people. The statement BOOM could have been a signal to the people saying, “Pay attention to this reference. This will make sense in the near future.” If this statement was a reference, it does not seem to have caught the eye of many researchers. However, the informational payoff still appears to have been received by the alternative community. Some claim that this non-bombing event represented an actual threat to certain officials on the political left (but not through fake bombs). This was allegedly because these interests were involved with the Cabal, and possibly because they were known by White Hats to be planning some very destructive events in the near future—events which would have occurred unless someone intervened. A Hit Job on Soros? Alternatively, this entire operation may have been an elaborate attempt to either capture or to kill George Soros. If this was the case, it would explain why Soros was the first person to reportedly receive a package, though he was not reported to be home at the time the package arrived. It may also explain why the caravan/invasion march—a clearly unnatural and societally hazardous situation—is occurring at this exact time. As we may know, the collapse of the Roman Empire occurred primarily due to the deliberate overflow of foreigners into the empire by outside invaders. The system was unable to sustain such a sudden and excessive growth in population, and according to research, this may have been the intention. If it was Soros’s intent to deliver a death blow to Western society, this invasion from the South would represent an extreme accelerated version of that plan. This may mean that in funding such as extreme project, Soros was playing his endgame, which either meant that his back was to the wall, or that he felt his death was imminent. We might consider the likelihood that the Alliance actually used the reports of “bombs” as an excuse to flood various key locations with dozens of police and investigative equipment for reasons other than actual bomb retrieval. If all of these authorities showed up and combed the entire areas within and around the estate of the Clintons, former President Obama, Maxine Waters, George Soros, the headquarters of CNN and did not take the opportunity to look for incriminating evidence, I would be very surprised. The presence of so many authorities in one location would most likely make it very possible to carry out extensive surprise investigations and forensic examinations of multiple properties linked to suspected Cabal members. The presence of these authorities would have also given these authorities the opportunities to arrest anyone connected with the locations who might have been incriminated by the findings of these. Further, by providing the excessively fake and unconvincing spectacle of a fake bomber for the news reports to swoon over, the Alliance could take full advantage of the situation while the media stayed completely busy drooling over yet another opportunity to smear the president. This, I feel, is a very likely scenario which may explain the extremely odd occurrence and public spectacle of a non-bomber gallivanting around his Florida neighborhood after reportedly committing multiple federal crimes. Nothing about the mainstream story makes sense. However, when we consider the possibilities that exist behind it, the pieces seem to fit together. As usual, we cannot know for certain as to what the reality behind these strange events may be. However, we can speculate and acknowledge the fact of past deception by media and covert operations. From these, it is not difficult to imagine that there is more to uncover than any MSM report would have us believe. 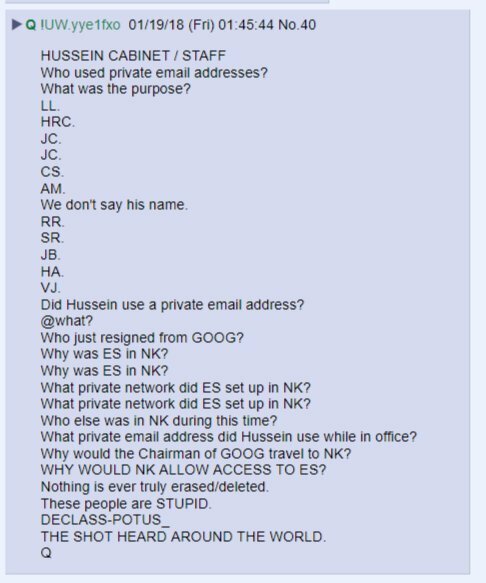 Posted in Discerning The Mystery, Q Anon, QAnon. What # does the passcode add up to? POTUS ‘really’ made that one obvious didn’t he? It was the ‘end’ that sealed it. The ‘LEFT’ has no chance. Guise, there’s rumors exploding all over twatter that skippy podesta committed suicide. Digging for real sauce on this. 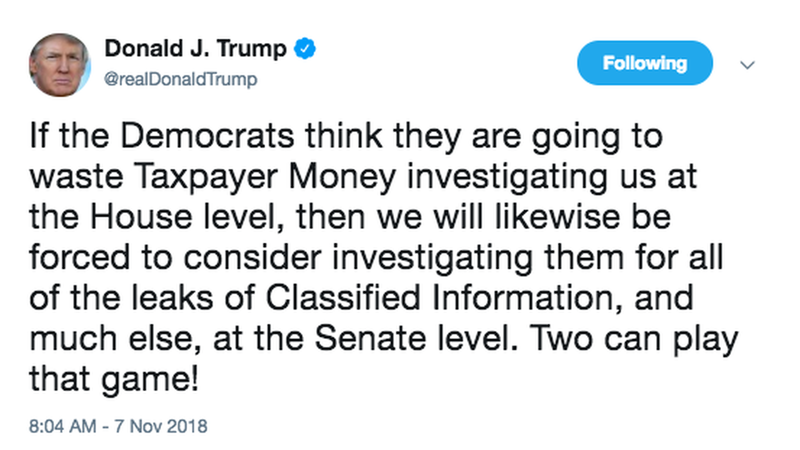 But, both brothers do have a pending sealed indictment. MEMES now front & center. 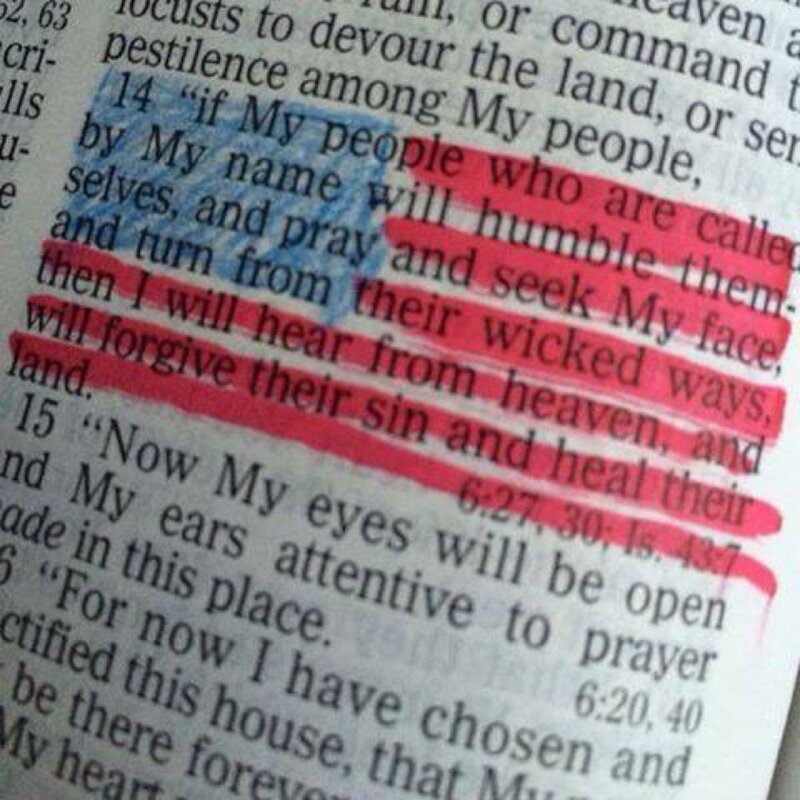 Q, may God bless us all today. Once you take care of yours.. pls help Canada Q.